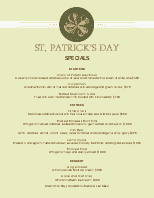 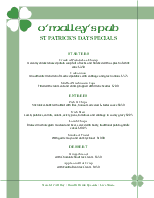 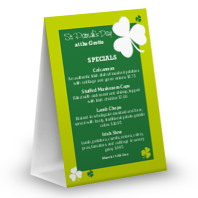 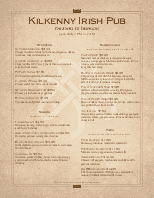 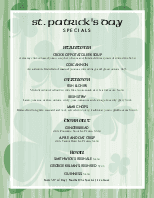 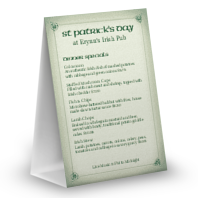 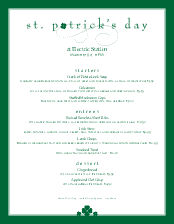 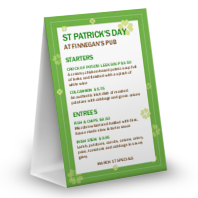 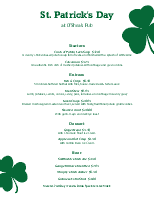 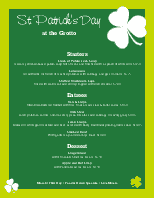 A simple elegant holiday menu for St Patrick's Day, featuring a crisp green border with a small shamrock decoration on the bottom middle. 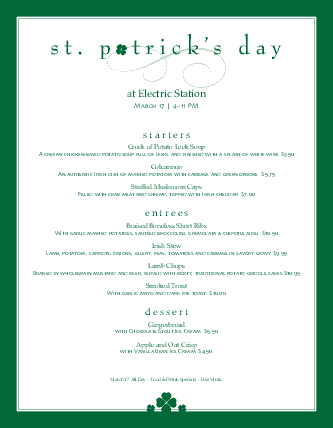 The "a" in St. Patrick's is also a tiny emerald green shamrock. 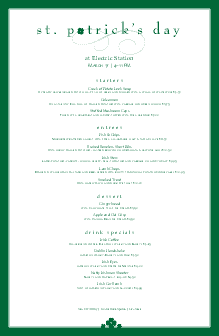 This menu can be updated using the Menu Editor.